Local, city, county or state officials and / or their staffs having land use and street / road jurisdiction along the pipeline route. While incidents pertaining to pipeline facilities are rare, awareness of the location of the pipeline, the potential hazards, and what to do if a leak occurs can help minimize the number of incidents. A leading cause of pipeline incidents is third-party excavation damage. 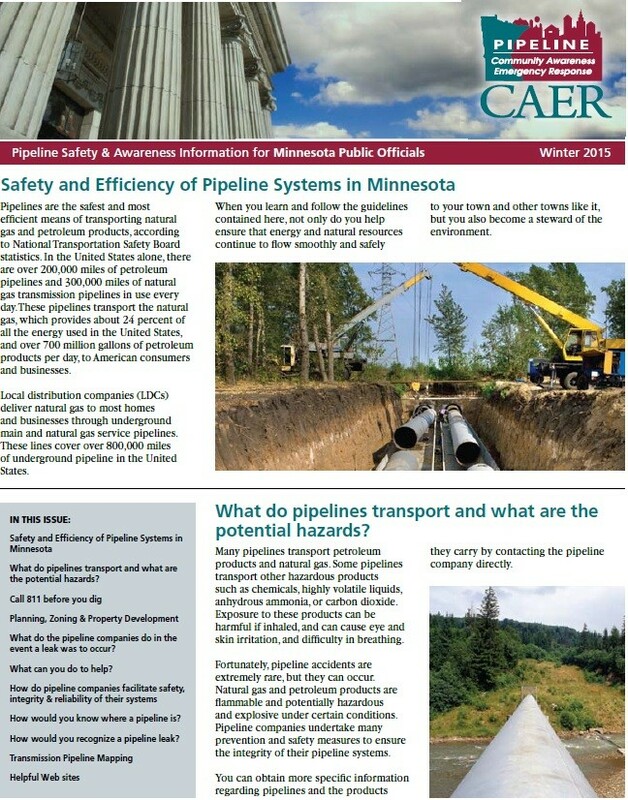 Pipeline operators are responsible for the safety and security of their respective pipelines. To help maintain the integrity of pipelines and their right-of-ways, it is essential that pipeline and facility neighbors protect against unauthorized excavations orother destructive activities.